There is nothing subtle about the Estero Dining Table. This table was designed to make a statement and it does just that with every inch. 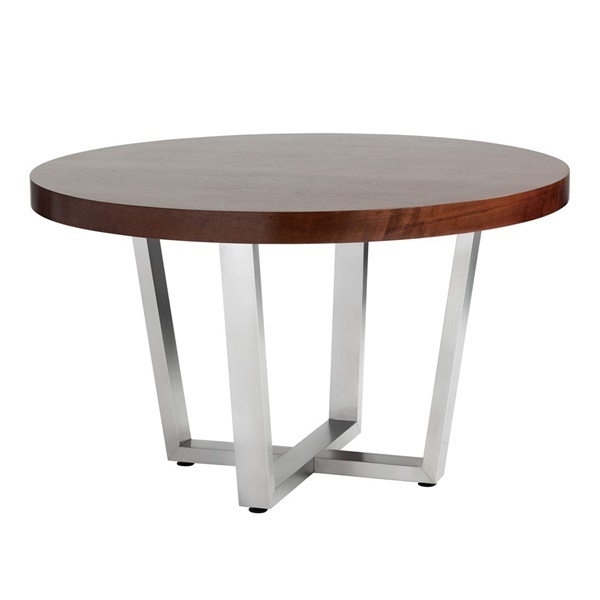 The bold tapered stainless steel base adds a shine to the table that perfectly balances the solid American walnut veneer tabletop; combined, the two elements give the table a look that utilizes aspects of both traditional and modern design. The Estero Dining Table will definitely add sophistication to any space and the expert construction means it will be around for years to come.